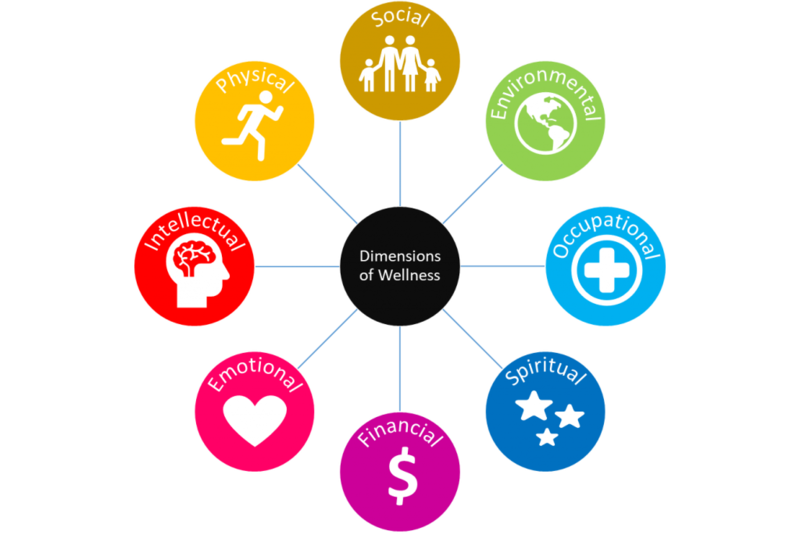 Financial wellness is similar to all of the other wellness’s in that it has to fulfill one of our 6 basic needs which is to create certainty, comfort or security; to create variety; to create a life of significance; to receive love and connection; to grow; and to contribute. However, unlike most other wellness areas, with financial wellness we can’t just hope for the best! We can’t just ‘think positive’ and be deluded that everything will work out… Just like planet earth, our environment, that is subject to man’s greed, exploitation and pollution, our financial future and our assets are also subject to be plundered by those same factors. We need to take defensive action! Did you know that today there are more than 10,000 mutual funds, 1,400 different ETFs and hundreds of global stock exchanges to choose from? Every day, more and more complex financial instruments are created from CDOs, REITs, MBSs, MSPs, CDs, CETFs, and HTFs. This alphabet soup of jargon increases every year, so how can we hope to learn such a complex game and achieve success? Many intelligent people, faced with this level of complexity, give up before they get started. They put their heads in the sand hoping for the best, because after all, who can they trust to give them true financial direction, knowing that many money advisors will take a cut of commission out of any money decision they make?! ! However, burying your head in the sand is just as bad is listening to the wrong kind of advice. This would be akin to your Doctor telling you that you need to lose weight and exercise more and then you ignoring everything they say. Part of financial wellness, indeed any area of wellness, means taking action to improve! Fortunately for us, Tony Robbins, the famous coach who has helped millions of people attain financial freedom, recently interviewed the top investors and documented their advice in his book, Money: Master the Game – 7 Simple Steps to Financial Freedom. These rich men and women shared their nuggets of wisdom when they answered the question: what advice would you give to your own children or grandchildren so that they could enjoy financial wellness? When studied collectively, you will find they all have similar insights to give. And this is the book I used to create timely advice for my blog audience. Firstly, decide on how much you need for your retirement, your children’s education and your day-to-day living expenses such as rent or mortgage payments; food and household; utility bills; transportation; insurance and health. With the rise of inflation and taxes along with the increase in medical bills at age 70 or above… Including the possibility that you may have to pay for an in-house caregiver or live in a nursing home, can you calculate how much you will need for 20 – 25 years of your retirement? Nowadays, even an astronomical figure of $1 million in retirement savings just won’t cut it. You need to think on the defensive and cover every possible risk to give yourself that secure future that you deserve! Once you have your figure, you need to make some decisions. Is my current job going to give me the retirement I need, or do I need a higher paying job? If I need a higher paying job, then do I need to improve my level of education? However, education takes time and money – how can I get a great free education? Answer: look online! There are many free education resources such as www.alison.com which may not give you respected certificates, but may give you a door way in to a company with growth potential. Also, never underestimate the value of www.youtube.com – it is full of free and accessible practical wisdom on how-to answers to your questions. You may decide to start your own business. Make sure you remove the risk factors from this venture by continuing in your current job, until your business venture is profitable enough for you to make the jump. Increase your chances for success by learning everything you can about your chosen niche or industry. Learn other ways that you can increase your revenue by reading the book “Creating Wealth” by Robert G Allen, or learning online marketing skills, a must for every new business! Did you know that not all debt is bad debt? Having debt and then paying it off can increase your credit score which is essential if you wish to borrow money in the future. Having said that, what most American’s don’t realize is that the value of their 401(k) plan is decreased by fees. For this reason, we recommend that you check out http://americasbest401k.com/401k-fee-checker to get the best deal. Furthermore, if you use either a Roth IRA or a Roth 401(k) you will protect your savings from tax. If you are a business owner, you can start a Solo 401(k) which is a 401(k) for an individual business owner and his or her spouse. Don’t forget that you can convert your old 401(k) into an IRA, and then convert your IRA into a Roth IRA. And then, in time, you will be able to invest your money for higher returns. There are limits to what you can save with each, but if you max out all your plans, you might wish to consider a cash-balance plan (basically a pension plan) which creates some very large, fully deductible contributions. Now it is time to hire a money manager. Not all money managers are created equal. We recommend hiring a fiduciary advisor (the most trusted type of money advisor as you never pay them commissions, just pay them for their advice). The richest men and women all agree that the greatest riches can be found by the things that are not seen or touched – intangible riches, such as curiosity, education, ideas, happiness, good relationships and love. The great wealth making principle is that: “The more you help others, the more prosperous you will be.” – Sir John Templeton. Giving to others is the most noble and personally beneficial ways you can spend your resources. A slight variation to this quote would be “the more people you help, the more prosperous you will be.” If everyone you helped gave you $5, how many people would you need to help to increase your monthly revenue from what it is, to what it should be? Simple ‘thinking out of the box‘ problem-solving ideas like these, will help you secure your financial future so long as you 1) increase your expertise, 2) create a good strategy, 3) execute the plan, and 4) stick to it for success! Finally, if you wish to overcome financial fear, become overwhelmingly grateful about the abundance you enjoy right now. Practice gratitude, abundance, and giving and you will be richer than you have ever been before.